There will be plenty of modern appeal in your home with the addition of this interesting coffee and end table set. The occasional group comes with a contemporary black metal base and glass tops, which are great for showcases candles, vases or decorative bowls. Bring a sense of boldness into your living room decor with this three-piece set. 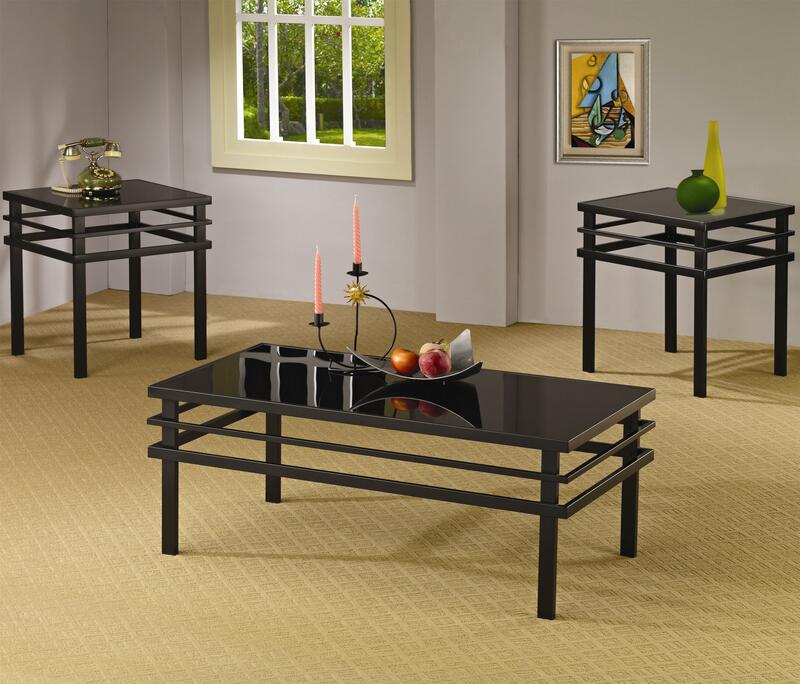 The Occasional Table Sets Modern Coffee Table and End Table Set by Coaster at Rife's Home Furniture in the Eugene, Springfield, Albany, Coos Bay, Corvallis, Roseburg, Oregon area. Product availability may vary. Contact us for the most current availability on this product. 701524B2 3PC Occasional Group Box 2 1 0" 0" 0"
701524B1 3PC Occasional Group Box 1 1 0" 0" 0"
A round side table with a beveled glass top. A rectangular coffee table with plenty of storage space. Even an oval cocktail table that blends a structural shape with industrial design elements for a sleek, contemporary appeal. This versatile collection of three piece occasional table sets features an unparalleled variety of coffee tables, end tables, sofa tables and more designed to suit every taste and budget. Occasional tables include round, square, rectangular and oval shapes in any number of finishes for a custom look that enhances the style and storage capabilities of any space. From contemporary to casual, traditional to transitional, you're sure to find an occasional table collection that's just right for your living room. All tables shown in each three-piece set are sold as a set only. The Occasional Table Sets collection is a great option if you are looking for furniture in the Eugene, Springfield, Albany, Coos Bay, Corvallis, Roseburg, Oregon area. 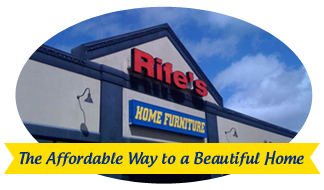 Browse other items in the Occasional Table Sets collection from Rife's Home Furniture in the Eugene, Springfield, Albany, Coos Bay, Corvallis, Roseburg, Oregon area.